IDEC offers a wide variety of Emergeny Stop Buttons for all applications. Many models offer the flexibility of modular construction, which allows you to change contacts, lamp voltages or button colors easily. 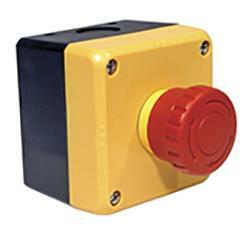 Control Components, Inc. is an Authorized Dealer for IDEC and their Emergency Stop Buttons.